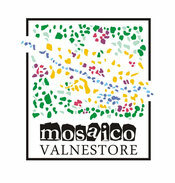 Territory - Benvenuti su mosaicovalnestore! The main characteristic of the landscape are the rolling hills covered with woods, alternating small villages of ancient origin and cultivated fields. Once upon a time, about 2 million years ago, in the heart of this territory the waters of the river had created a large basin swamp, around which a rich thriving forest populated with animals. Then the swamp dried up, creating a large and fertile basin. The first traces of human presence date back to the Iron Age, when some fortifications were built on hilltops (the best preserved is located in loc. Citta di Fallera ), and in Etruscan and Roman times the area was used for agriculture. In the Middle Ages were built the majority of villages that still exist today, which retain evocative traces of the past may be cited among the principal Piegaro, Panicale, Paciano, Castiglion Fosco, Greppolischieto, Gaiche, Mongiovino Vecchio. During the same period also flourished religious settlements of great importance, such as the establishment of Ierna and the Abbazia of Settefrati in Pietrafitta. In the sixteenth century, there was also a very vital stage in the history and art in the area, thanks to the presence of the powerful family of the Della Corgna to which they bound many important artists, whose works can be seen in places of great beauty, such as the sanctuary of the Madonna of Mongiovino. 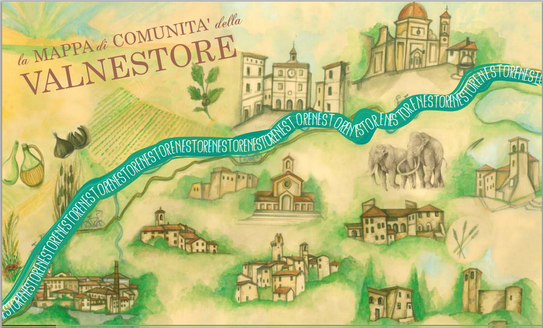 An interesting and original feature of the area is finally Valnestore its link with the history of pre-industrial and industrial production. Already in the fourteenth century, in fact, the village of Piegaro was famous for the production of glass. This activity continued through the centuries, with ups and downs and in the nineteenth century all the glass factories in Piegaro were acquired by the family Misciattelli di Montegiove. In the twentieth century the discovery of rich deposits of brown coal in Pietrafitta represented a significant incentive for the industrial development of the area: In addition to the feeding of glass furnaces, in fact, the precious combustible was used for the production of electricity, with a plant built in the immediate vicinity of the quarries. Nowadays, the evidence of this complex industrial history are reflected in the territory. A Piegaro it is possible to visit the building of ancient glass (Glass Museum), while in Pietrafitta, near the modern power plant, gas-fired today, you can see the impressive machinery for the extraction of brown coal and especially the L. Boldrini Paleontological Museum, which houses a large amount of fossils of animals found during the extraction brown coal.